With summer campers come new summer animals as well. 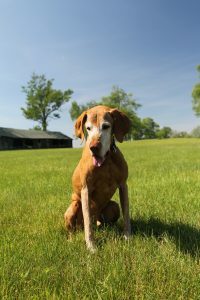 This summer, we have a Hungarian Vizsla joining us from Virginia. Alicia, who is helping out the full-time Alicia in the kitchen, has joined us for the entire summer with her horse, Ruby, and her dog, Laszlo. We could not be more excited to have new summer friends here, not to mention, the campers love having more farm dogs and horses!